What are Anti-Lock Braking Systems? 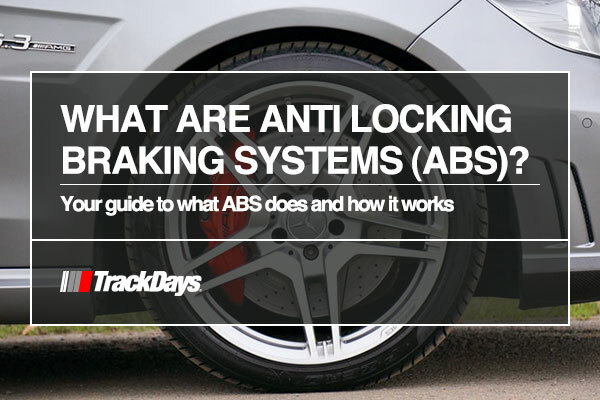 Commonly known as ABS, or sometimes anti-skid braking systems, anti-lock braking systems help prevent car and motorcycle wheels locking up and improve steering control whilst braking. The first primitive form of ABS was developed in the 1920's by French pioneer Gabriel Voisin, initially to aid braking on aircraft. Although, it wasn't until the 1970's that ABS was adapted and introduced to the commercial vehicle market on a large scale. Today, anti-lock braking is now standard on virtually all new cars and motorcycles and is used not only to aid steering whilst braking but also to help with traction control. Drivers are benefitting from the effectiveness of ABS according to an 11-year study in the U.S, conducted by the National Highway Traffic Safety Administration (NHTSA). Nonfatal crashes have reduced by 6% in cars, and by 8% in LTV's. Motorcycles equipped with ABS are also 37% less likely to be involved in a fatal crash, according to a study by the Insurance Institute for Highway Safety (IIHS). The primary purpose of ABS is not actually to help cars stop faster. But to help drivers maintain control of their vehicles in heavy braking situations. In ideal conditions vehicles equipped with ABS generally experience shorter stopping distances than those without. Decreased stopping distance is not guaranteed by ABS and is a secondary effect. How does ABS benefit racing drivers? In the racing world driver aids such as ABS and traction control systems (TCS) take on different roles. ABS can be used to change when a driver commits to braking before a corner and can also help protect tires from excessive wear. ABS has been proven to reduce the risk of crashing when being used on typical road surfaces like bitumen and concrete. But the results are quite different on surfaces like snow, ice and gravel, where braking distances are actually increased. On snow, a wheel that skids or locks will build up a wedge of snow helps vehicles stop. Whereas ABS would detect the locking of a wheel and attempt to stop any skidding or locking from occurring. Similarly, on the ice, ABS can be more of a hindrance than a benefit because of system limitations. ABS works by detecting and comparing locking on individual wheels. Meaning a car or motorcycle that experiences locking on all wheels simultaneously wouldn't trigger ABS. In the event that ABS fails, drivers should pump the brakes manually. ABS is also used as a form of traction control in a range of modern cars. ABS is used to help restore grip to wheels that slip, by slightly applying the brake. Although this shouldn't be confused with actual traction control systems (TCS) that are used to prevent wheel spins during acceleration. TCS works by shifting torque through differentials to wheels that the ECU deems to have better traction in comparison with a wheel that is slipping. Most modern cars are now built to be able to deal with strong crosswinds. Although motorcycles and high sided vehicles such as heavy goods vehicles are still vulnerable. Newer HGV's are combating strong winds on the motorway by using ABS to apply the brakes to wheels and help keep lorries on the straight and narrow. My ‘ABS’ light is on – what do I do? If you see the ABS light appear on your dashboard, then there's likely a problem that needs fixing. Although an illuminated ABS light doesn't mean that your car has no brakes. But beware that you'll no longer have the assistance of ABS when braking hard. Your first port of call should be to check your brake fluid levels. Making sure that the reservoir is filled to the level. If you're not comfortable with doing that, head to your local garage and a professional will get your ABS back up and running. Looking for more feature packed and informative articles? Check out our drifting tutorial, or read our top racing tips from the pros!